Fuji bikes were first founded in 1899 in Japan, which makes it one of the oldest bike companies in the world. In the 50s, Fuji bikes were sold in the United States through hose brand retailers like Sears & Roebuch, Montgomery Wards and more. The name of the company is derived from Japan’s famous Mount Fuji. This name is symbolic because the company believes that a mountain is the most difficult terrain for any rider, however, they view this challenge as an opportunity to shine and come out on top of the competition. Basically, they thrive under pressure. 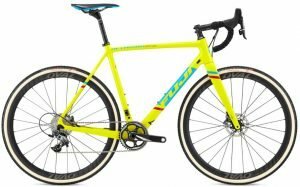 It, therefore, comes as no surprise that Fuji makes some of best mountain bikes the market has to offer. Today, they make different kinds of mountain bikes like different trail, XC bikes plus Electric and Fatbike approach. Their prices are quite low, from $300 to $4,500. The company is also great at manufacturing world-class road bikes—their Transonic and Fuji Sportif are the best selling bikes. So what has kept Fuji in the game this long? Over the years, the company has developed a philosophy that has been passed from past generations to the current generation. They use the knowledge gained from top athletes to create cutting-edge, high-performance bikes that also come with the latest and most advanced technological features. Okazaki Kyūjirō is the guy who started Fuji back in 1899. The Nichibei Fuji Cycle Company, Ltd was the original company behind Fuji. 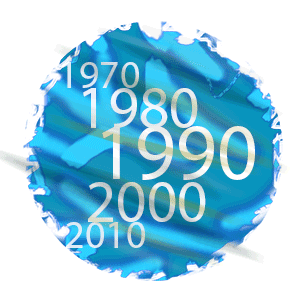 In 1900, it took up the ‘Japanese-American Trading Company’ trade name. Fuji’s name was changed to Dainippon Cycle during World War II but it would later change back to Nichibei Fuji Cycle Company after the war came to an end. In the early years, Fuji was distributing and importing products from the US before it switched and started doing its production in Japan. The company became the most popular in Japan in the late 1920s. In the 1930s, Fuji started sponsoring the winning teams which participated in their national race between Tokyo and Osaka. Today, this still stands as one of Asia’s premier races. In the 50s, Toshoku America became the new U.S. distributor of Fuji-made bicycles in the United States. Using U.S. retailers like Montgomery Wards and Sears & Roebuck, the distributor succeeded in selling private-label Fuji-made bicycles as household brands. Fuji was a big part of the cycling craze that hit America in the 1970s after it started to distribute models in the U.S using the newly established Fuji America. In the mid-70s, Fuji upgraded their wheel strength by revamping the rear axle to minimize spoke dish; this led to a thriving mass-production of 12-speed bicycles. By 1974, Fuji was officially on the map and it came as no surprise that company’s road bikes received high ratings from Richard Ballantine, the popular author of Richard’s Bicycle Book. The company came up with touring bikes in the early 80s and made history by being among the first bike companies to make titanium frames. However, the company would soon face some hard times after it was caught unprepared by the increased popularity of mountain bikes in the 80s. Fuji’s road and touring bike sales suffered as consumers moved towards mountain bikes. This miscalculation by Fuji gave room for other companies like Trek and Giant to have a piece of the U.S. pie. These other companies made profits at the expense of Fuji thanks to cheaper frames that they imported from Taiwan. In the early 1990s, Fuji was at rock bottom because of the consistent rise of the Yen. In addition to this, competing brands were offering cheaper bikes in the U.S. market. Fuji eventually moved its production to Taiwan in order to reduce costs but the U.S consumers had a negative attitude towards these Taiwan bikes because they felt that the original Japan bikes were better. Fuji eventually gave their consumers what they wanted but this move came a little too late. In 1997, Toshoku America filed for bankruptcy. Nichibei Fuji Cycle Company also became bankrupt in the next year. In 2004, Ideal Bike Corporation took up marketing in Asia by purchasing 17% of Advanced Sports International Asia. The company’s bikes are currently manufactured in Dong Guan, Guangdong Province, China; Kutno, Poland and Taichung, Taiwan. A privately held corporation and Advanced Sports International (ASI) are the companies that own and distribute Fuji bikes in the United States. Fuji offers different types of bikes to serve different purposes. They include: mountain, city, electric, road, hybrid, kids, triathlon as well as cruiser & comfort bikes. The bikes also come with professional clothing and helmets. Fuji sponsors a cycling team in UCI Continental Circuits. U.S. triathlete, Matt Reed is among the competitors who have benefited from Fuji’s sponsorship. In the past, the company has equipped and supported UCI Continental Circuits NetApp Endura. Going by the many comments available on the internet, Fuji bikes are pretty popular and they have many supporters, however, some also expressed their displeasure with outdated features like the post-mount brake with QR. The manufacturer highlights that the bikes have numerous features, great prices and a proven track record that has lasted since 1899. Below are some of the comments by the customers. “Fuji accepts disc brake and the right time. Not too late nor too early. Giant, on the other hand, jumps to disc brake too early, although SLR wheels for Defy advanced makes almost all stock wheel feel shame, their post-mount brake with QR is a little out of date. Fuji bike components can be assembled at home or with the help of a mechanic from a nearby bike shop. The essence of assembly is to upgrade or repair faulty parts; the improvements ensure that your bike remains in the best possible shape. It is cheaper for you to assemble your bike at your local bike shop than ordering online. Or do it yourself! When reading Fuji bike reviews, it’s easy if you have some technical skills. When looking at the bigger picture, it is great to have your bike handled by a professional because you won’t have problems in the future. The bikes are user-friendly and easy to service. Fuji mountain bikes are offered as both hardtail and full suspension bikes from expert level to entry-level. They come with a durable frame that carries reliable features. The Fuji MTBs are further divided into Sport, Fat & Pas, Cross Country, All Mountain, Kids, E-MTB and Police. The Fuji Auric 27.5 1.3 Mountain Bike is among the top bikes; it goes for $3,299. This bike comes with top-notch responsiveness thanks to its 11-speed SRAM X1 shifters. 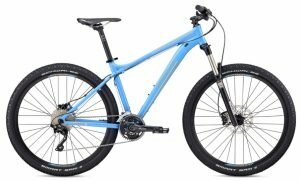 It has an A6-SL alloy frame, Schwalbe Nobby 27.5’’ by 2.35’’ tires and a Shimano Deore XT brake set. Fuji road bikes are made using top-notch components to come up with world-class bikes. The bikes are made by using information gathered from mechanics and pro athletes. These bikes are divided into: Women’s, Triathlon, Adventure & Touring, Endurance, Competition and Cyclocross. They are made with the intention of giving you a memorable riding experience. The Fuji Women’s Brevet 2.3 Road Bike ’17 is among the top brands; it costs $1,859. It features a technological feature that decreases vibration in order to reduce fatigue in the rider, it also has great stopping power thanks to the Flat mount disc brakes. It also has double water bottles. 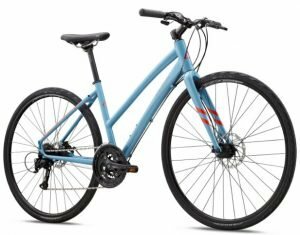 Where to shop for Fuji bikes? 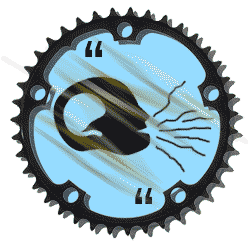 Well, we recommend buying from Chain Reaction Cycles. It’s known to be reliable and safe e-shop with a decent selection of bikes available.